A Lot is Happening . 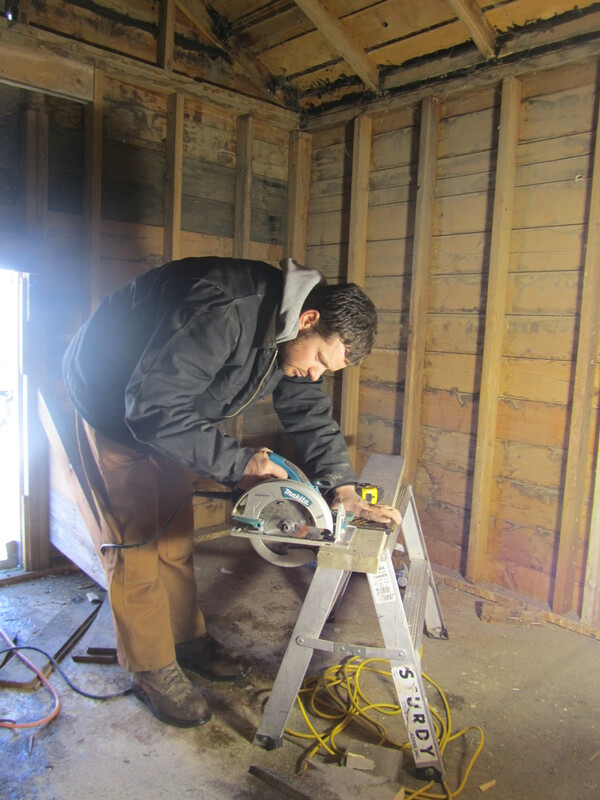 Take a look –things happening in 2015 !!! 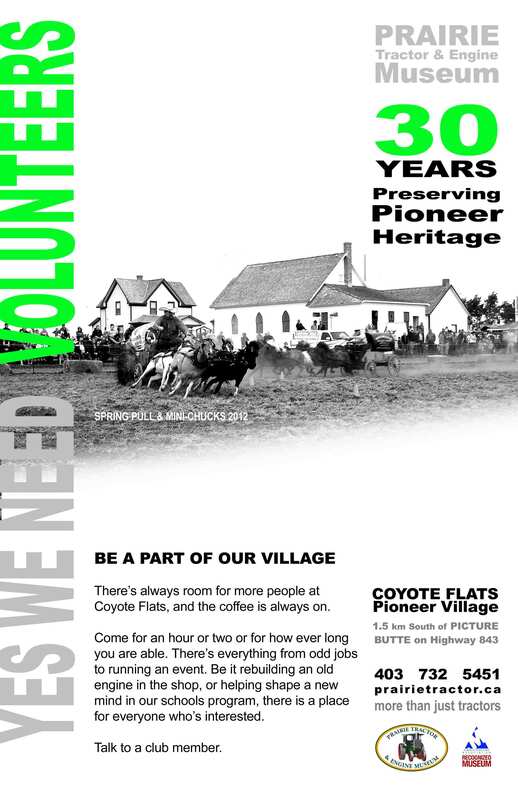 The Volunteer Fire Department has been doing a lot of work on the Fire Hall at Coyote Flats Pioneer Village -Sept – 2015. 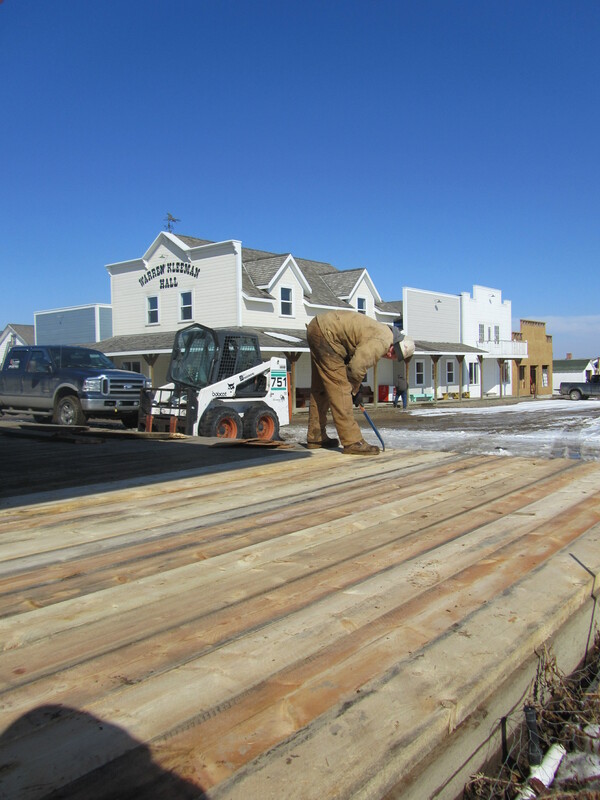 Herman finishes repairing the decking for the Train Station platform. Now anyone interested in getting the station ready for new paint? 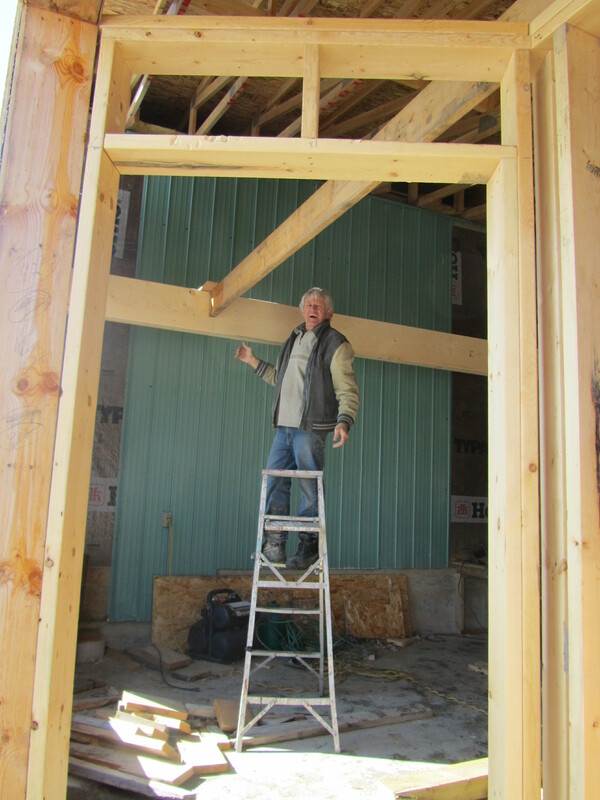 Pete works on getting the new ice cream cafe ready. Any ideas of what to call the place? but we have lots of other stuff to store. Know of anyone with good organizational skills? 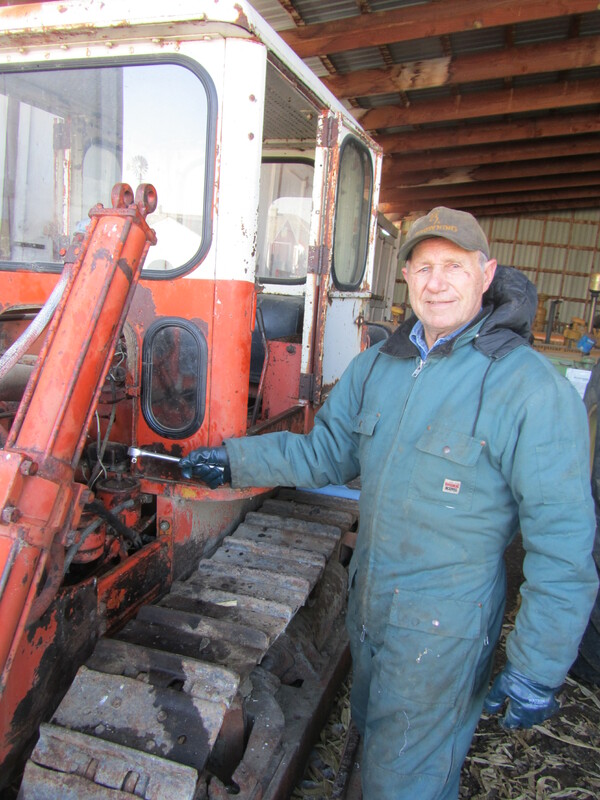 Frank is working on restoring the museum’s Allis-Chalmers HD5 Crawler. 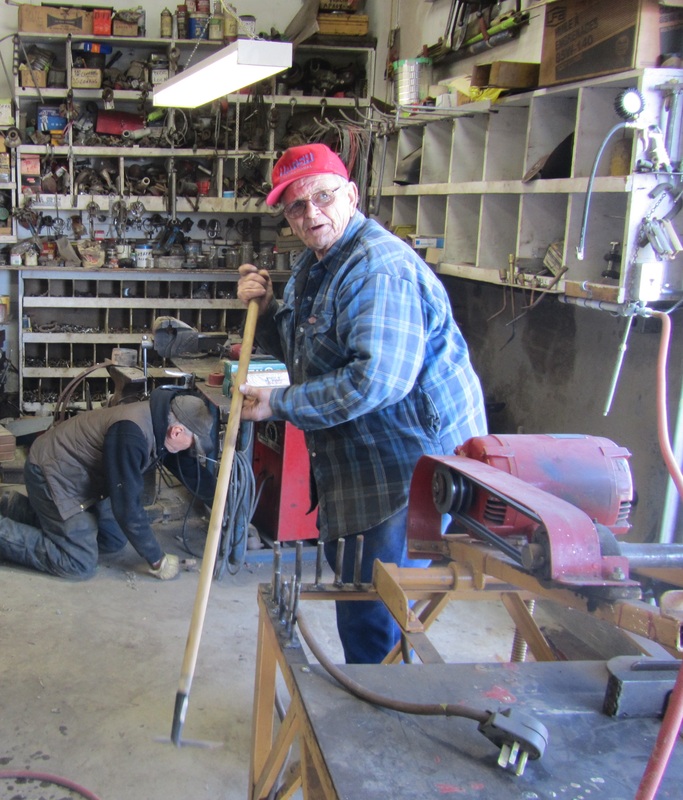 Merle and Stan cleaning the shop. Have you ever wanted to restore an antique tractor? Come down and help us. 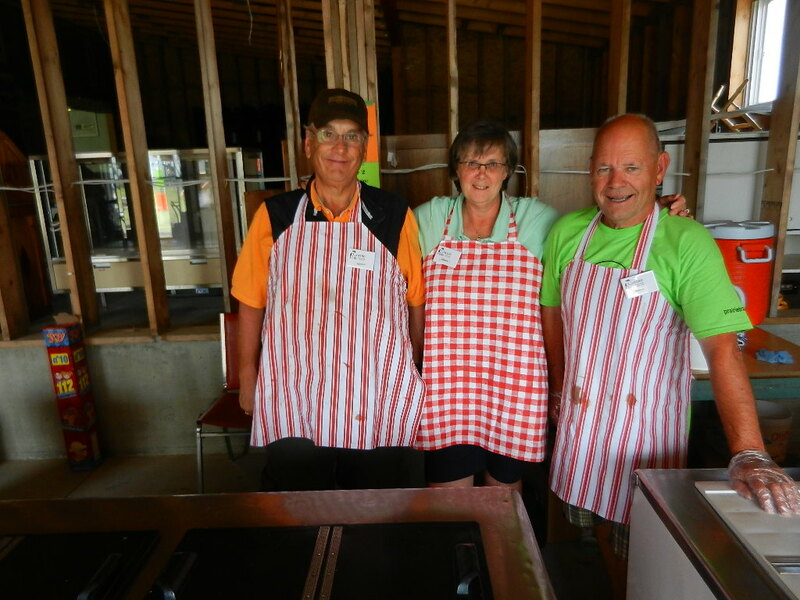 Barry, Penny and Keith scoop ice cream in the new addition and soon to be ice cream parlor.